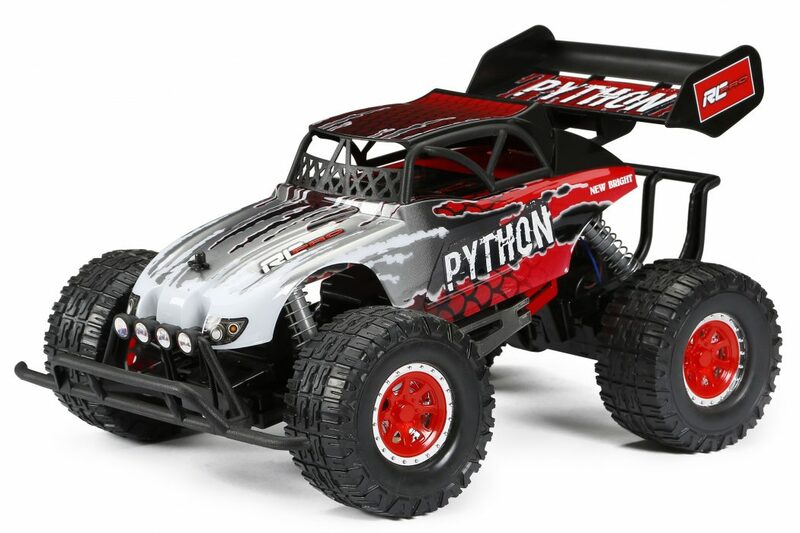 R/C PRO Plus Python 2018 - Red | New Bright Industrial Co. 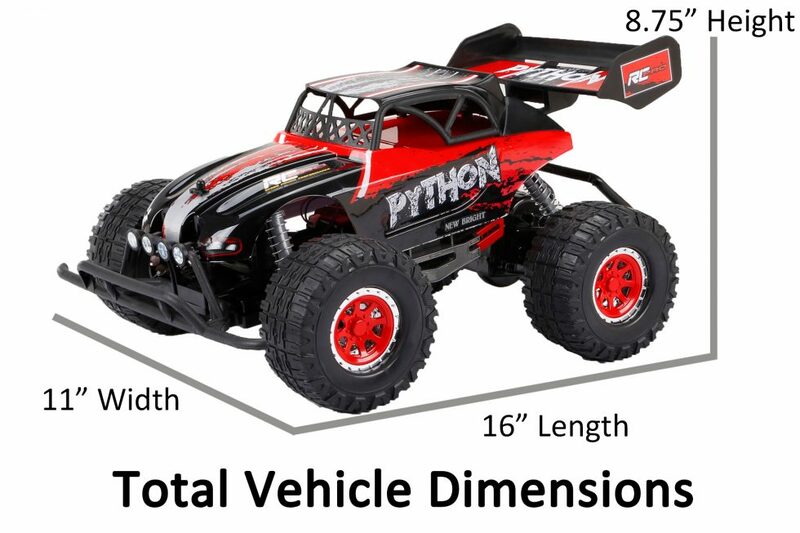 The New Bright 1:10 Scale (17″) R/C PRO Plus Python with 2.4 GHz technology is a powerful serpent that enjoys company; Race up to 12 R/C PRO vehicles at once! With the new R/C PRO Plus transmitter dashboard, you’ll be able to monitor vehicle speed and battery level through the LED display, right at your fingertips. Add to that, tough suspension and a durable polycarbonate body you’ll find that rugged terrain is no problem. 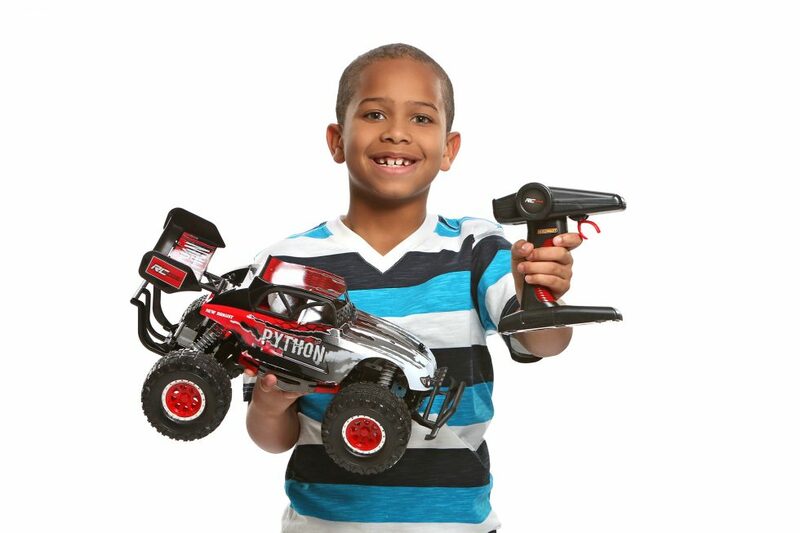 Charge your powerful 9.6 Volt Lithium Ion battery, invite your friends and get the party …or race… started – You’ll be sure to strike first with the RC PRO Plus Python! 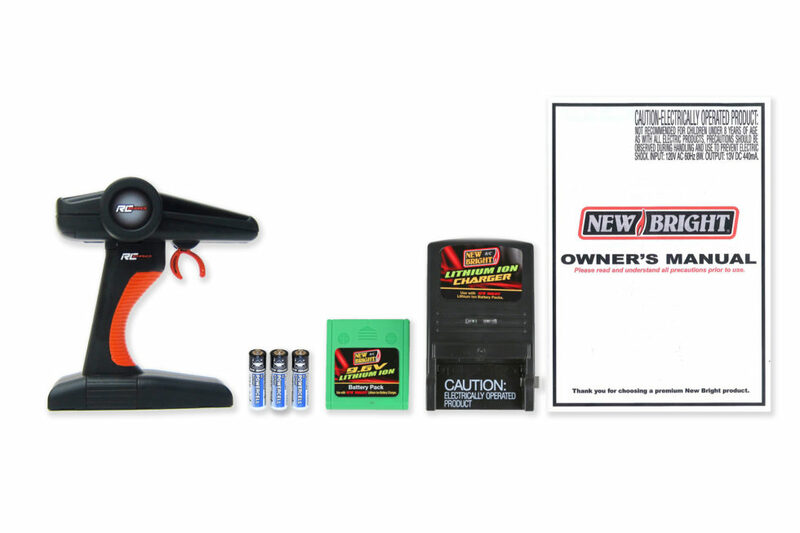 Ready to run, all batteries and 1-hour quick charger included.